Picture-in-Picture (PiP) is a feature available on Android smartphones running Android 8.0 Oreo and later. It allows you to multitask. For instance, you can search for a restaurant while video chatting with a friend or watch a YouTube video while getting directions on Google Maps. It sounds gimmicky, but it's a nice feature for heavy multitaskers who jump from app to app. PiP is also convenient if you want to casually watch a video rather than pay full attention, such as a funny video that's taking too long to get to the punchline. This feature may not be something you use every day, but it's definitely worth giving it a try. Follow the instructions below to set it up and use it. The apps and directions below should apply no matter who made your Android phone: Samsung, Google, Huawei, Xiaomi, etc. Since this is an Android feature, many of Google's top apps support picture-in-picture, including Chrome, YouTube and Google Maps. However, YouTube's PIP mode requires a subscription to YouTube Premium (previously YouTube Red), its ad-free platform. The way around that is to watch YouTube videos in Chrome rather than using the YouTube app. PiP mode also works with YouTube TV, the company's streaming service. Other compatible apps include VLC, an open source video platform, Netflix (with an update to Android 8.1), WhatsApp (video chats), Facebook and Instagram (videos), Google Duo, and Pocket Casts (video podcasts). Go to Settings on your smartphone or tablet. Tap Apps & Notifications > Advanced. Tap Special App Access > Picture-in-picture. Then you get a view list of apps that support picture in picture and which ones have PIP enabled. To disable this feature on a per-app basis, tap on an app, and slide the Allow picture-in-picture toggle to the left into the off position. There are a few ways to launch picture-in-picture, depending on the app. With Google Chrome, you have to set a video to full screen, then press the Home button. If you want to watch YouTube videos on Chrome, there are a few extra steps. Navigate to the YouTube website, which will probably redirect to its mobile site (m.youtube.com). Tap the three-dot menu icon. Tick the box next to Desktop site. Choose a video and press Play. Set the video to Full Screen. On the YouTube app, you can just start watching a video, then press the Home button. With some apps such as VLC, you have to enable the feature in the app settings first, as you can see in the screenshot above. On WhatsApp, when you're in a video call, tap the Back button to activate picture-in-picture. When you've figured out how to launch PiP in your favorite app, you'll see a window with your video or other content on the bottom left of your display. Tap the window to look at the controls: Play, Fast Forward, Rewind, and a Maximize button that brings you back to the app in full screen. 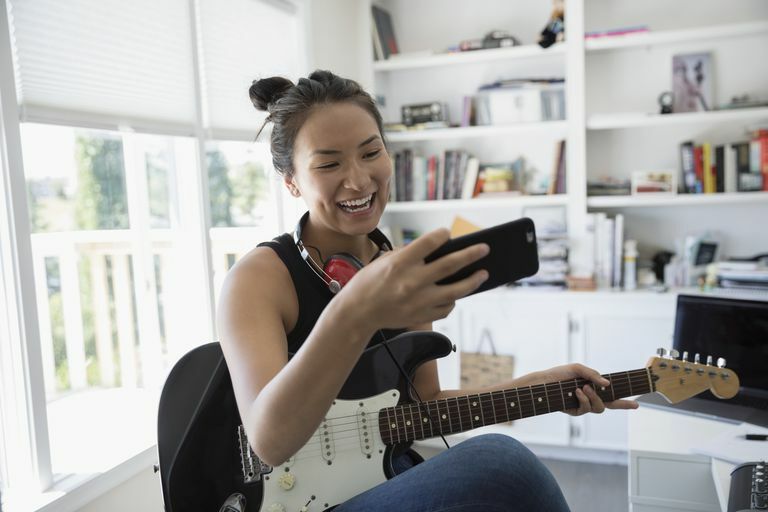 For playlists, the Fast-Forward button moves to the next song on the list. You can drag the window anywhere on the screen, and pull it to the bottom of the screen to dismiss it. Some apps, including YouTube, have a headphone shortcut that lets you play audio in the background if you don't need visuals.